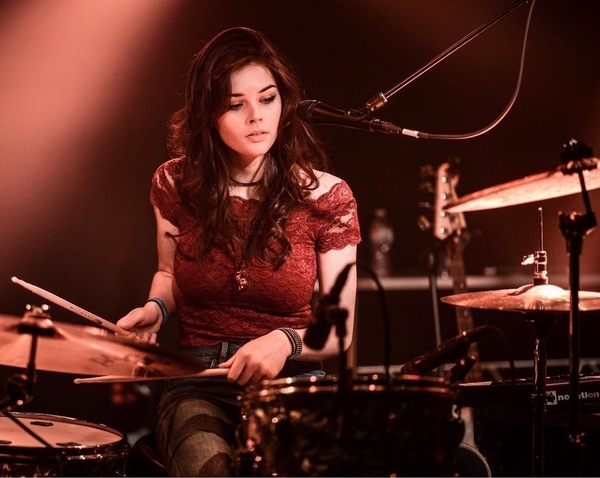 The Quiet Storm is proud to present Elise Trouw. Her delivery is polished with a well developed groove as a talented multi-instrumentalist and vocalist. As a one girl band relying on looping, her skills as a great arranger shine. She has just the right touch on everything. Drums are her main instrument, but she is gifted all around with broad skills. She is 18 years old mashing up the 20 year old song titled Everlong by the Foo Fighters and the 40 year old Quiet Storm classic titled What You Won't Do For Love by Bobby Caldwell. She sings, plays keys, bass, guitar, drums and does it all with groove, amazing grace and a little bit of a nonchalant attitude as if it's second nature, all in one take. This viral music video landed Elise her debut network TV appearance performing two songs on ABC-TV's Jimmy Kimmel Live on January 30, 2018! Live looping triggered through Ableton Live using the internal IAC MIDI driver.